In honor of the last few days of Migraine & Headache Awareness Month, I’ve launched a Teespring campaign to benefit my CrowdRise fundraiser for The 36 Million Migraine Campaign. 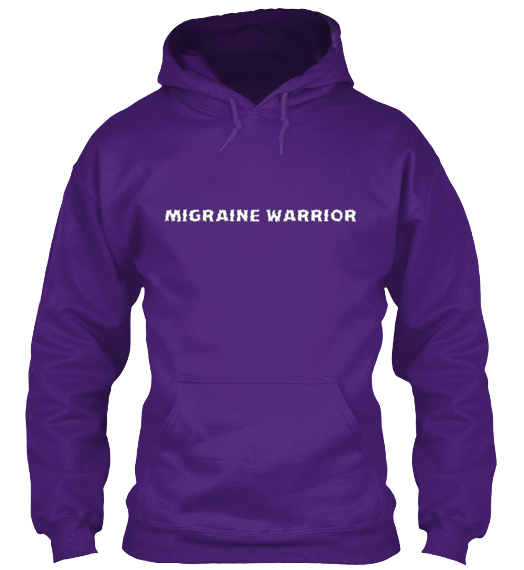 You can purchase a t-shirt, tank top, or hoodie, all in the signature Migraine Awareness color: PURPLE! The front displays the text “MIGRAINE WARRIOR” while the back reads “It’s NOT just a headache!” You can see images below. The campaign ends July 1, so what are you waiting for? 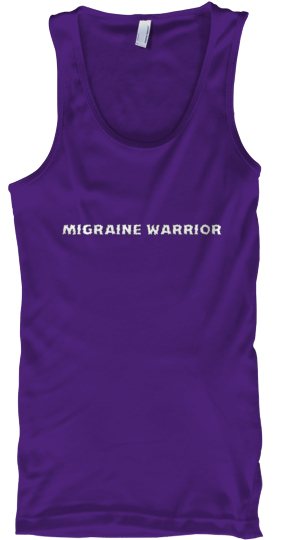 Head on over to teespring.com/migrainewarrior and grab one for you and your loved ones! It’s the perfect way to be comfortable, stylish, and charitable all the while raising awareness for an amazing and under-funded cause! Please and thank you! Chelle: Save me an XL tee. Pay you when I get back.